Eight more people, seven men and a woman aged 20 to 40 have been hiding in the forest for the past five days. The nearby border village is facing shortages. "We don't have enough food," a local said. Meanwhile, Cambodian authorities continue to repatriate refugees in violation of international treaties. Phnom Penh (AsiaNews) - Scores of Montagnard Christians are fleeing Vietnam for neighbouring Cambodia, to escape persecution by Communist authorities and seek a better life. In recent weeks, several families and individuals have left their country of origin. The latest eight crossed the border a few days ago and took refuge in a forest in the north-eastern Cambodian province of Ratanakiri. Activists and local sources quoted by Radio Free Asia (RFA) said that seven men and one woman, between the ages of 20 and 40, have been hiding in the forest for at least five days. The continuing exodus of Montagnard refugees from Vietnam is raising concerns among Cambodian villagers on the border. In recent weeks, with the continued flow, locals who provide them food and shelter are now facing food shortages themselves. "We have helped them, but we don't have enough food and safe refuge," said one villager, who declined to be named. The influx of more Montagnard refugees into Cambodia comes a few days after local authorities deported four of them back to Vietnam after they were arrested a day earlier. 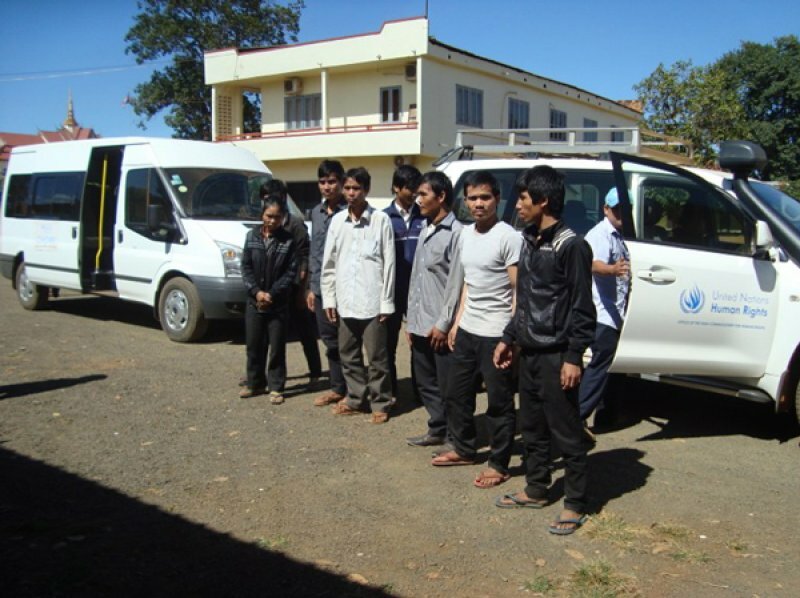 Earlier this month, authorities had deported a family of five Montagnards to Vietnam after they were discovered hiding in Ratanakiri. Under such treaties, the Montagnards are entitled to asylum because they are victims of persecution in their homeland. However, for Cambodian authorities, they are illegal immigrants, farmers and ranchers who cross the border in search of work. In 2001 and 2004, at least 2,000 Montagnards from the highlands of central Vietnam moved to Cambodia to escape the violence of Vietnamese authorities. The Communist regime persecutes them because of their Christian faith and for the support they gave US troops during the Vietnam War. It is especially interested in seizing their land. Most of them obtained political asylum, especially in the United States. In last few years, the exodus started again as more and more families try to cross the border, seeking shelter in neighbouring Cambodia. With the help of the United Nations, some have applied for political asylum, although many are reluctant to contact Cambodian authorities for fear of being deported. In the latest cases, more than 50 Montagnards (including several children) have sought shelter in the forests of Cambodia, where they are faced with malaria and food shortages. Missionary commitment to "transmit the real message of Christian love"